Welcome to The Houdini Box. Lynsey Hutchinson is an illustrator and musician from Edinburgh. A singer/songwriter, guitarist and drummer for over a decade, performance highlights include the Edinburgh Fringe Festival, Celtic Connections and the Wicker Man Festival. She now mainly applies her abilities as a freelance comic book artist. Her work was first published in the award-winning graphic novel 'Burke & Hare' (1st edition Insomnia Publications 2009, 2nd edition Tranzfusion 2012) alongside such celebrated artists as Frank Quitely, Gary Erskine and Rian Hughes. She is one of the creators behind the Southern Gothic anthology 'Bayou Arcana: Songs of Loss and Redemption Vol.1' (Markosia 2012) contributing the strip 'Grinder Blues'. A concept sketch from which, appeared in The Guardian newspaper in a 2011 article on the new wave of female comic book creators. Both Lynsey herself and her work appeared in the Bafta-nominated Scottish independent film 'Electric Man', released in 2011 with UK-wide cinema screenings and a DVD release. She is the co-creator, artist and writer for 'Sceptic: A Magician Among the Spirits'. In the wake of an acclaimed preview strip, Lynsey is currently working on a full-length graphic novel of Sceptic. Set in 19th century Edinburgh and described as Hellblazer meets Inspector McLevy meets Deadwood, by way of The League of Gentlemen. Tool, The Divine Comedy, Derren Brown, The League of Gentlemen, Benjamin Linus, Nick Harper, Alan Moore, Mike Mignola, Stan Sakai, Classic 2000ad, Tony Millionaire, Charlie Brooker, Rufus, Martha and Loudon Wainwright, A Perfect Circle, Barry & Stuart, Chris Morris, Alien & Predator, Armando Iannucci, Terry Gilliam, Bill Hicks, The Prisoner (McGoohan), Elbow, Julia Davis, Pegg & Wright, Sherlock Holmes & Conan Doyle, PJ Harvey, Joby Talbot, John Wyndham, David Arnold, Graham Linehan, Danny Elfman, Penn & Teller, Hieronymus Bosch, Stan Winston, History of Anatomy & Surgery,19th Century/Victoriana/Steampunk, Martial Arts, Sci-Fi & Horror Movies, Magic & Conjuring. 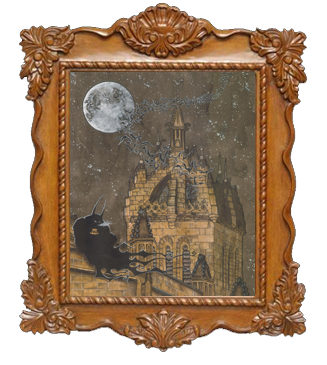 "Enigmatic new character, gloriously eerie and evocative artwork. 'Sceptic' got me going dammit. Give me more!" "A dark and atmospheric narrative of occultism in Victorian Scotland with a shocking twist in its tail"